Weight : 0.040 grams approx. These Are 100% Natural Gemstone . Description : Orange toned beaded Necklace look immensely spellbinding on sarees and other traditional outfits. Beautiful Designer Necklace With Gold Chains And Purple Stones And Maang TiKka and Beautiful Earrings. Gemstones Jewelry Store Pvt. 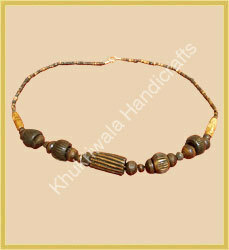 Ltd.
Fine decorative bone necklace available in different designs & sizes. Being the reckoned names in the industry, we offer astonishing range of Necklace of synthetic emerald that are valued among the clients for classy looks and smooth texture. They are designer in nature and adorn the look of the writer. Our entire product range is skin-friendly in nature and is delivered in stipulated time frame. We are offer an exclusive range of Princess Necklaces which is highly demanded for its unique design. 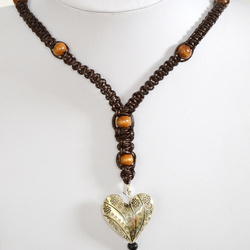 These are made from high grade metals to offer superb quality jewelries to our customers. These are coated with enamel and are fitted with Crystal Balls which enhances the beauty of wearer. These are offered by us at very reasonable rate.